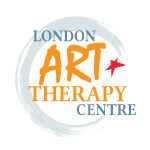 Sessions at London Art Therapy Centre are 60 minutes. Takes place at London Art Therapy Centre. Art for the Heart Workshops – If you would like to attend this group please email or call to book your place. Well-being and Support Group – If you would like to attend this group you will need to book an individual session first to see if this group would be suitable. You may also leave me a phone message at London Art Therapy Centre on 020 3489-9192.